Cosplay is more than simply dressing up as a preferred character; it’s a form of self-expression, identifying with a (usually fictional) character on a level beyond simple admiration or appreciation. It takes time and effort to dress up like a favorite superhero or video game fighter or animated antagonist, and that time is hard to invest when the character means either nothing or next-to-nothing to the cosplayer. 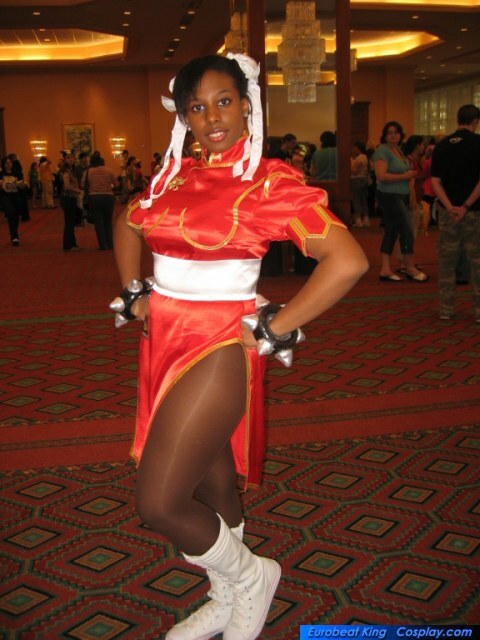 And the results are usually incredible – I’ve seen wonderful depictions of Chun-Li from Street Fighter, Green Arrow, Patty Mayonnaise, various colors and generations of Power Rangers, there’s not enough time to break down how solid they are and how they’re portrayed. That said, it should also be noted that many of the most popular characters in many mediums popular in the United States – video games, film, comics, other mediums, and including the characters I listed above – are predominantly white. Especially the biggest names, like Batman or Wolverine or Wonder Woman or Ms. Marvel, have historically been caucasian. And many superheroes are more than only white, they’re men. They may be diverse in their power set, or their personality profiles, or their backstories, the biggest and generally most popular (and profitable) have been white men. Because of this, most noteworthy cosplayers are dressing up like them. But during Black History Month, there’s the hashtag #28DaysOfBlackCosplay, displaying some of the great displays of my melanin-rich friends taking over the cape and/or cowl of their favorite characters, making them their own. And more than the few characters of color like Storm or Black Panther, cosplayers are taking on traditionally white characters like Captain America and Superman.